Why Does Ekko Watch Movies? A year or so ago, my wife and I took my parents to watch a movie. The movie was called, "Ode to My Father." It might as well have been called, "Cry for 2 hours straight"... In any case, the movie was about what our "fathers" and "mothers" had gone through to give us the life we have today. From the horrors of the Korean War to the enduring struggle of putting food on the table, we got a glimpse of the hardship, the suffering, the journey. It allowed for younger generations to understand, to empathize, to appreciate what the older generations have gone through. I remember my wife and I crying, vicariously feeling what our parents and grandparents must have felt. they were crying tears of relief. But something happened afterward. We began to embrace our parents having understood (just a bit) what they've gone through. Being understood feels like being loved. Hence, empathy is the first step towards expressing love. because we are trying to learn how to better love the way Christ has loved us. January 2016 | Sundance | The Life Animated - Q&A with the family and the crew. This is our way of Embracing a Community and their Story. Isiah, James, and I after watching the movie - we cried our eyes out because we have friends who are going through what the Suskind family has gone through. This screening is for them and all the families we support via Recess. Tonight we're screening Life Animated as a church. It's our third movie that we've purchased the license for and set up a movie night for. When I first got to see this movie at this year's Sundance Film Festival, I knew without a doubt that this movie was going help us better understand why we at Ekko offer the ministry called Recess. Because some things are better caught than taught. My prayer is that after tonight, we'll have a better understanding of what families with (what is often regarded as) "disabilities" go through and that the Other will feel understood... or loved. And that we would move from understanding to participating in the renewal of all things with our Lord. Below are the Movies we've screened as a church thus far. Each movie was a formative experience, inviting us to care, to participate, to change. If you haven't watched these yet, I encourage you to watch it, catch it, and join us in changing the world. Miss Representation explores women's under-representation in positions of power and influence and challenges the limited and often disparaging portrayals of women in media. 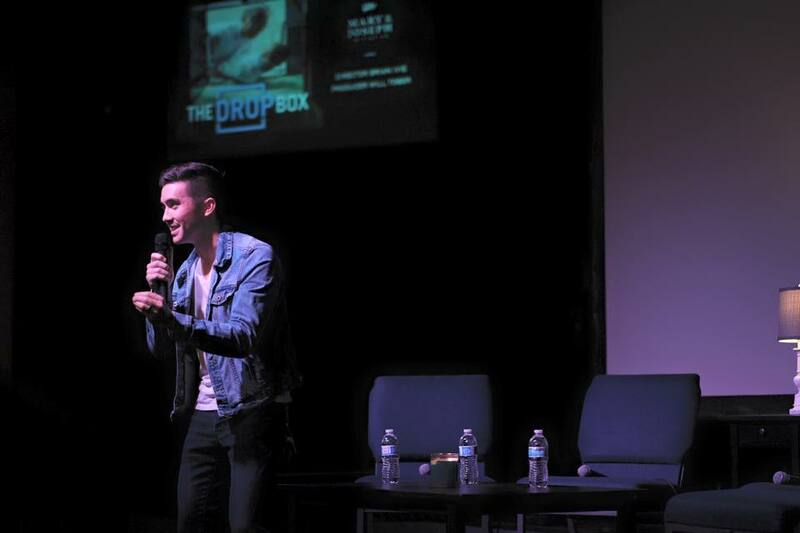 Ekko's Mary & Joseph Initiative hosts a Screening of The Drop Box. Brian Ivie - Director, praying over the congregation after our Q&A Session. The Drop Box - Pastor Lee Jong-rak built a box to save unwanted babies in South Korea. Brian Ivie - Sharing his heart and testimony. Reverend Lee of the Drop Box film prays for Ekko Church during a visit to Korea. Life, Animated Official Trailer 1 (2016) - Owen Suskind Documentary From Academy Award® winning director Roger Ross Williams. This is why Ekko Recess exists, to support families like the Suskind family in the film Life Animated. Tickets will be sold first come, first serve. Tickets at the door will be sold for $15.